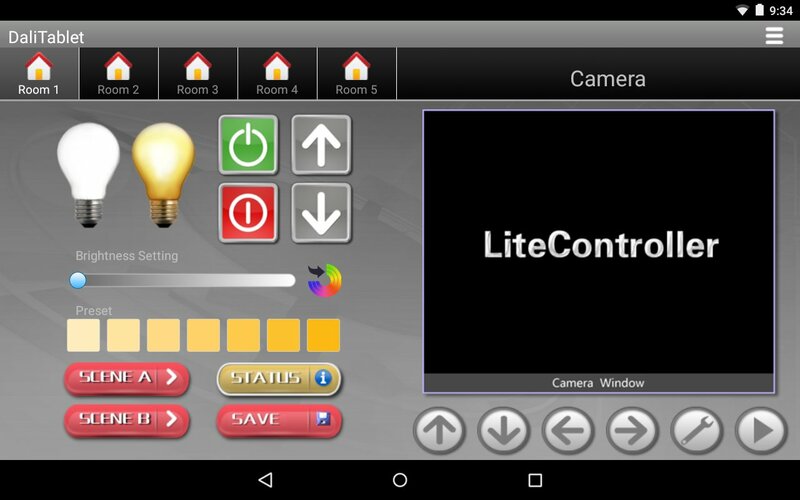 DaliTablet is a Wi-Fi Android 7?tablet that has a touch screen capability for controlling the luminaires and devices. Touching the buttons at the screen sends out the commands to DaliHub via the Wi-Fi router. 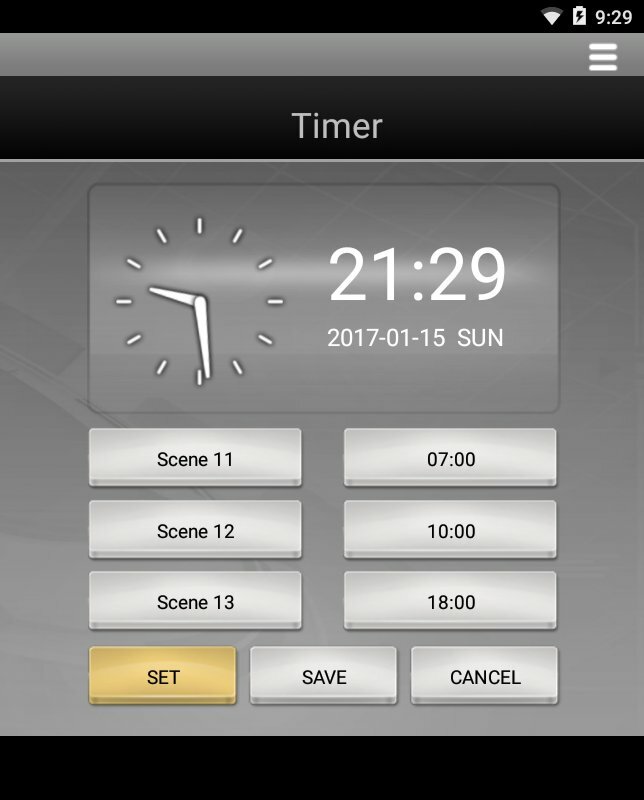 There are three software modules at the screen, namely Lighting, Timer, and Camera. The Timer module is especially suitable to schedule the light intensities and color temperatures of the luminaires in accordance with the user's desired Circadian Rhythm. Three scenes can be set within a 24-hour interval, and their typical settings are shown the following table. Brighter light with a cool white color is scheduled after waking up in the morning, and dimmer light with a warm white color is scheduled in the evening. In the daytime the light fixtures are turned off to save energy. 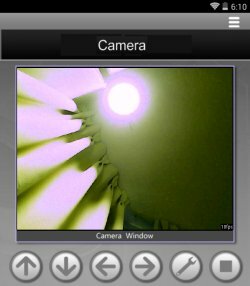 Also, it is particularly helpful when the user is out of town for vacations, the luminaires can be turned on/off automatically by the timer. By doing that, strangers may think that there is someone inside the house. Two mounting options for DaliTablet are offered : surface mounted, and stand-alone. The surfaced mounted option is installed on a wall box, so the AC/DC adapter is hidden inside the wall box. The stand-alone option allows the DaliTablet to be rested on a stand, and the AC/DC adapter is plugged into a nearby outlet.